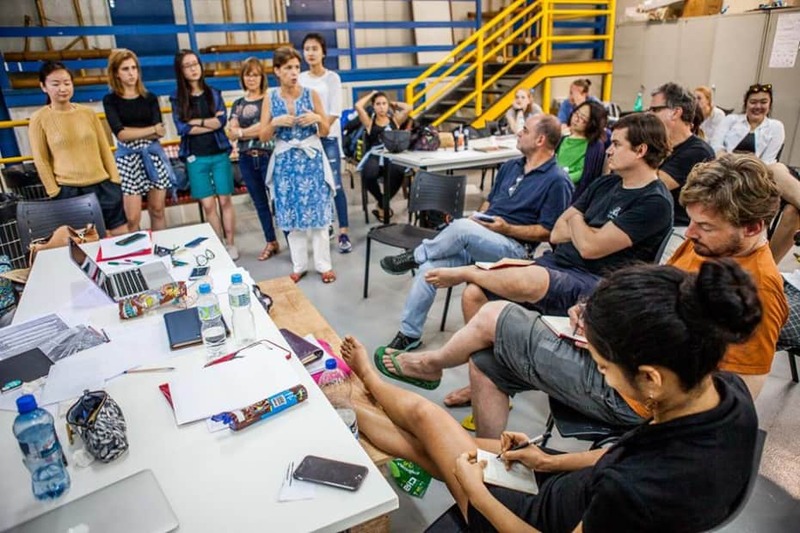 Spatial Practices students and staff travelled to Brazil for the second in a series of 'Rio workshops' held jointly with students at Pontifical Catholic University of Rio de Janeiro (PUC). 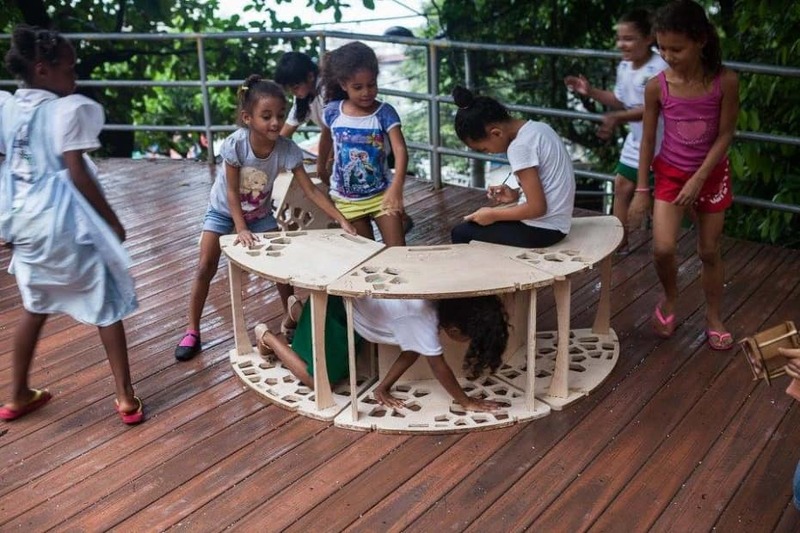 This CSM X PUC Rio workshop engaged with the directors, teachers, children and teenagers who use the educational spaces of the Tia Percília school in Morro da Babilônia favela. 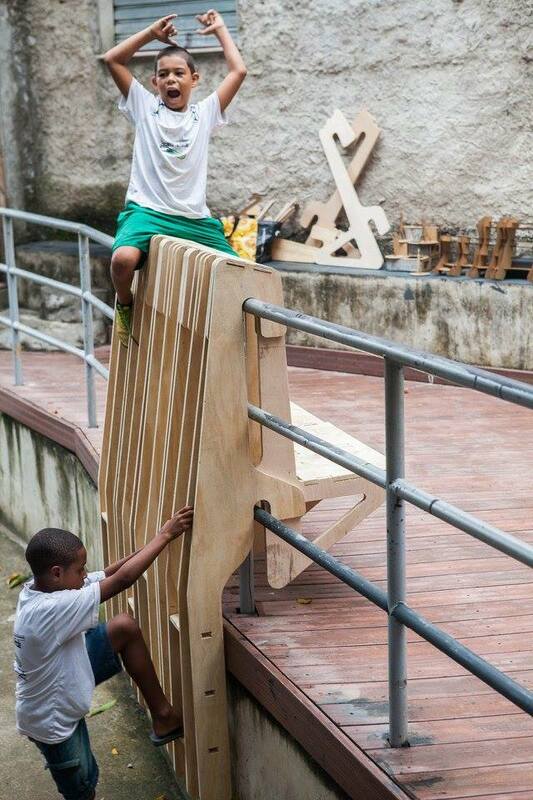 The educational spaces are part of an after school program which is run by local residents. 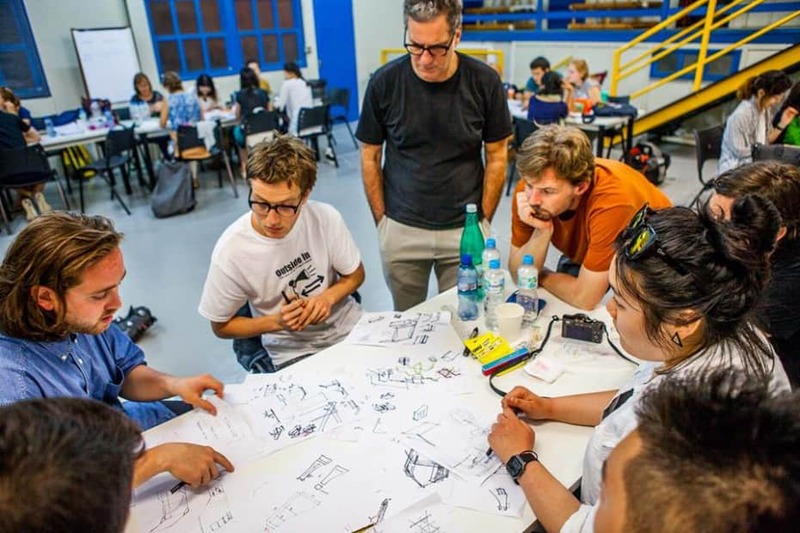 Working collaboratively, students from CSM and PUC researched and developed a set of designs and strategies for how the potential of these educational spaces can be developed and expanded in the future. 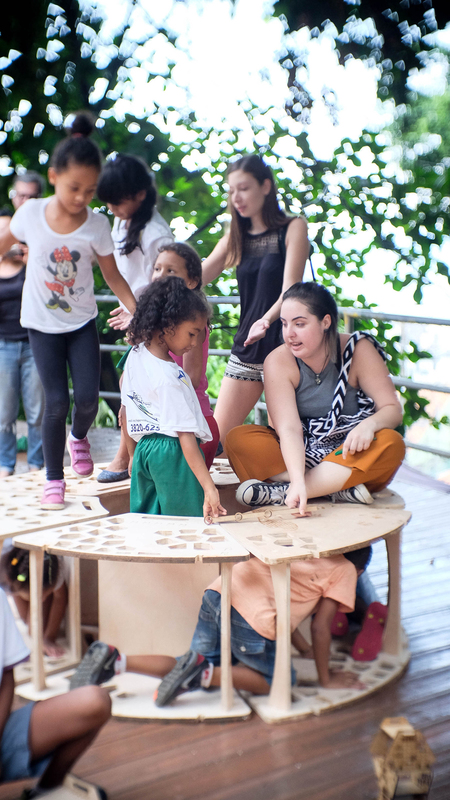 The workshops utilised the different skills and interests of the students' various backgrounds, in order to provide the community with a wide array of possibilities and potentials. 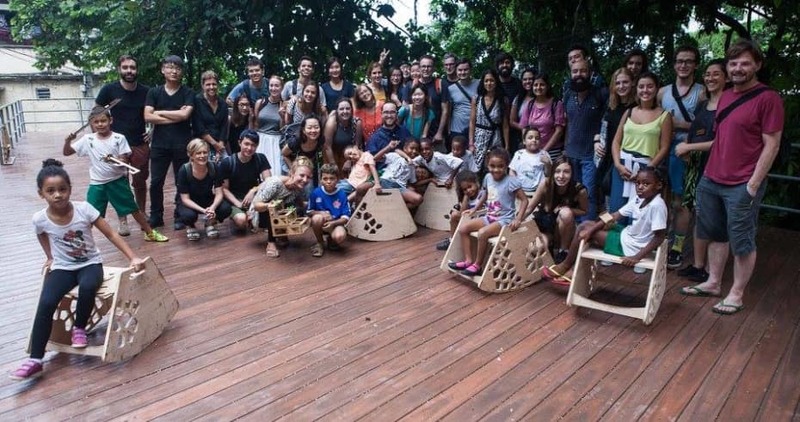 30 students from across BA Architecture, MA Architecture and MA Narrative Environments joined students from Pontifical Catholic University of Rio de Janeiro (PUC).